Surface water becomes groundwater through the process of infiltration where water soaks into the ground through permeable materials like sand, gravel, and fractured rock. The video below explains how groundwater moves and is used by humans. A river basin is an area of land that drains into a particular river. For example, runoff in the Pee Dee River basin will eventually flow into the Pee Dee River if it does not evaporate or soak into the ground first. The video below explains river basins and the high land areas that divide one basin from another. Sometimes a river basin is also called a watershed. Aquifers allow water flow while aquicludes block water flow. An aquifer between two aquicludes is called a confined aquifer. The video below explains confined and unconfined aquifers. The video also explains how artesian wells can transport water to the surface without pumping. 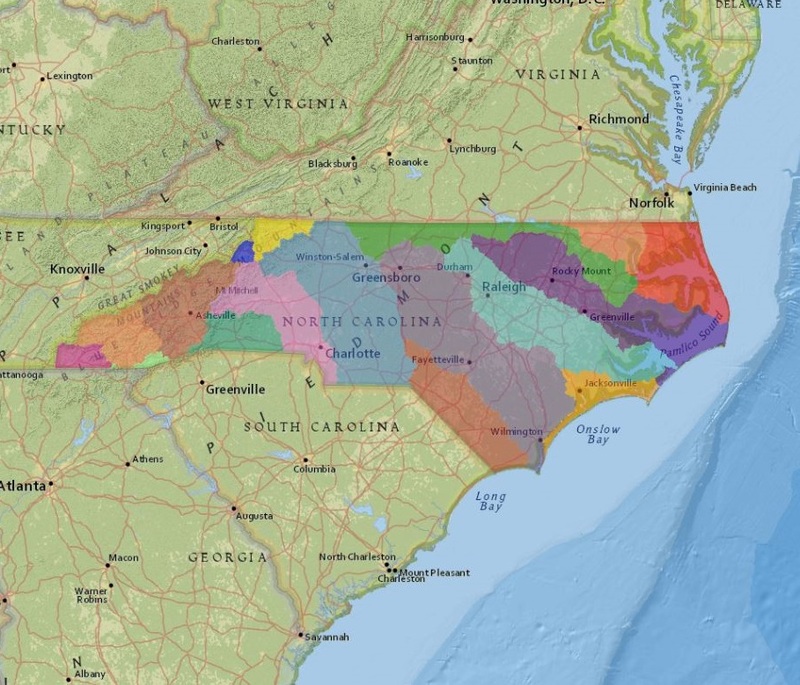 Visit the site below to explore the river basins of North Carolina.